Need information on where to find that rare kit? Or how to get one done? We can help! Our contacts include resin kit manufacturers from around the globe as well as pattern makers for those "one off" kits that are so special for your collection. Just fill out the form below following the guidlines. We are a virtual web site therefore we do not have a physical location for goods or services. We will be doing mail order in the future and in that regard we will have an address at that time. 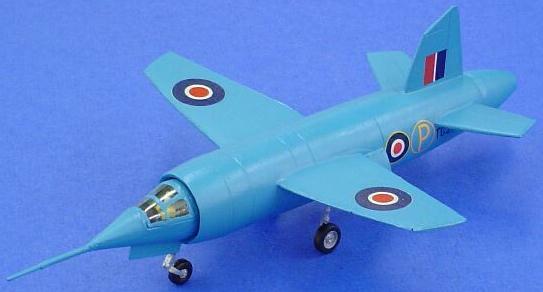 This is the A+V Models 1/72 Miles M.52 kit, a British research aircraft intended to break the sound barrier like the Bell X-1 below. The project was cancelled due to concerns for an unswept, thin airfoil. The following year the Bell X-1 did break the sound barrier with a thin, straight wing. 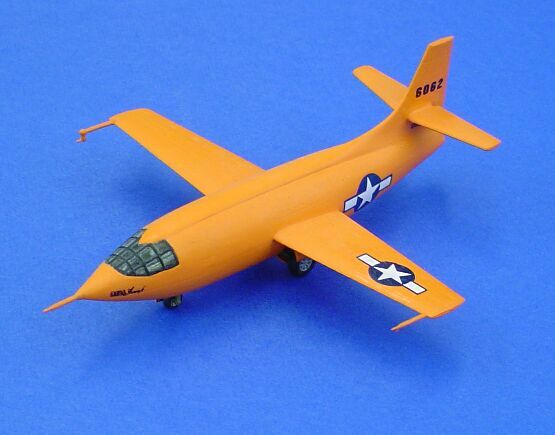 The X-1 was cast in Japan for Racoon Models in 1/72. 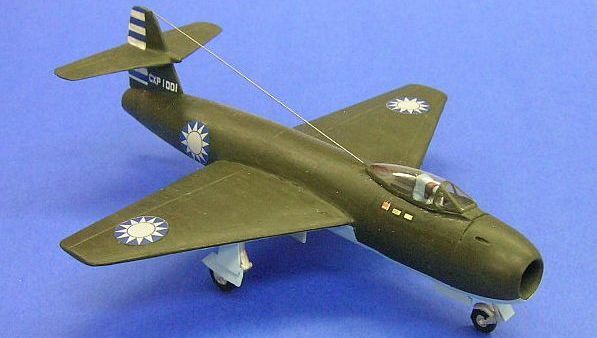 The Gloster CXP-1001 was potentially China's first fighter jet. Designed in 1946 by the Gloster Aircraft Company, Limited in the United Kingdom with participation of Chinese Aerospace Engineers, the CXP-1001 made it to mock-up and pre-production status. This kit is by the International Resin Modellers Association and is a clean build for advanced resin model builders. We welcome questions, comments, suggestions! Just fill out the form below and we will get back to you as soon as we can. Please no foul language, abusive or negative comments. Missed out on our first kit? To join the list for IRMA Kit No. 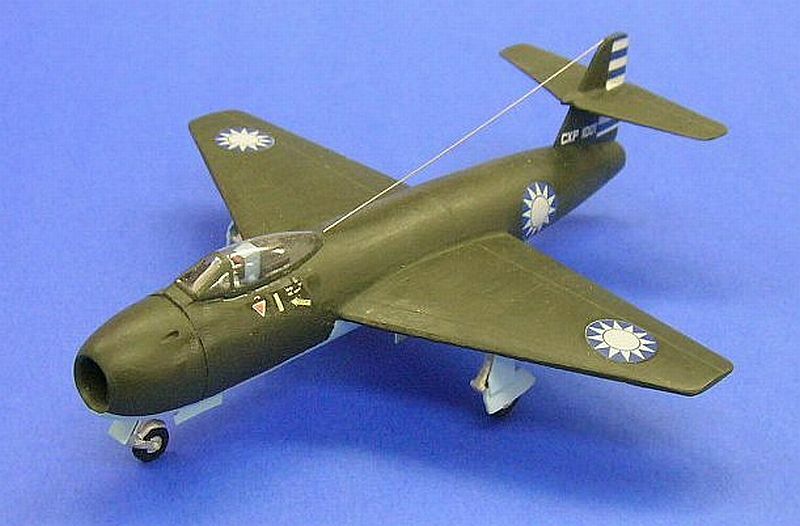 1 Gloster CXP-1001 in 1/72 please leave your contact information below. Include the number of kits you or your organization would like to order and we will contact you when the next run is completed. Payment will only be accepted once the kits are produced and ready for shipping. Discounts are only avialable through direct orders with membership in the International Resin Modellers Association. If you or your organization wish to be affiliated with IRMA, please let us know. We welcome one and all!